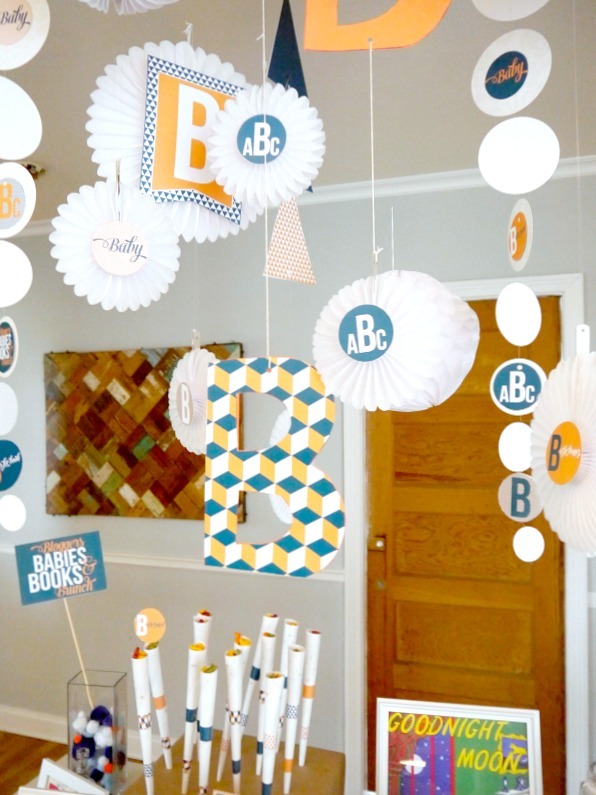 B is for baby shower - C.R.A.F.T. 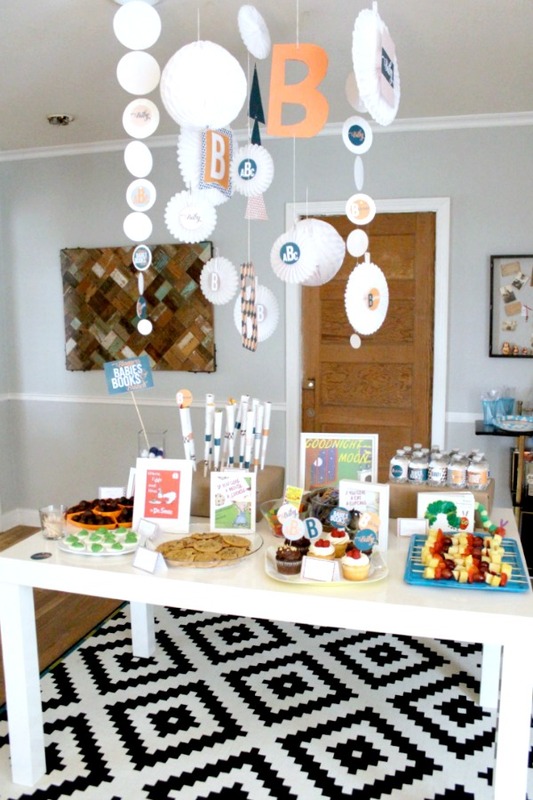 Me and 2 other local pregnant blog friends hosted a B is for baby shower, books, brunch, and blogger! 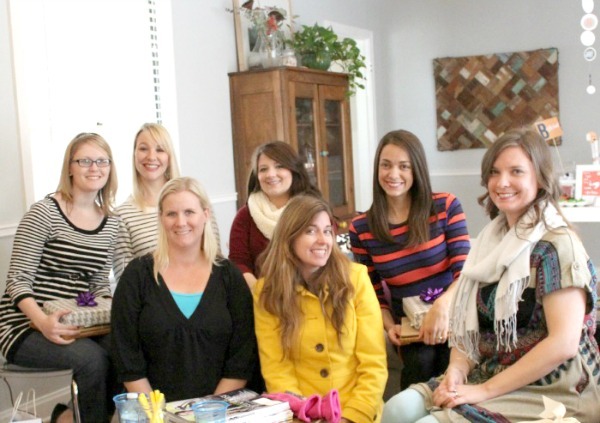 It was a fun excuse to get our local blog girls together before the holidays! 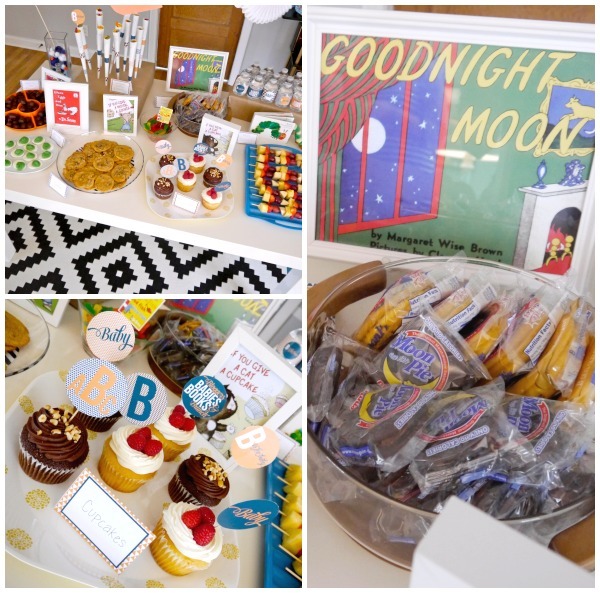 We asked our blog girls to bring books to get our little ones libraries started and we provided book themed tasty treats, of course! I was in charge of decorating and Jenn and Lani were in charge of food. 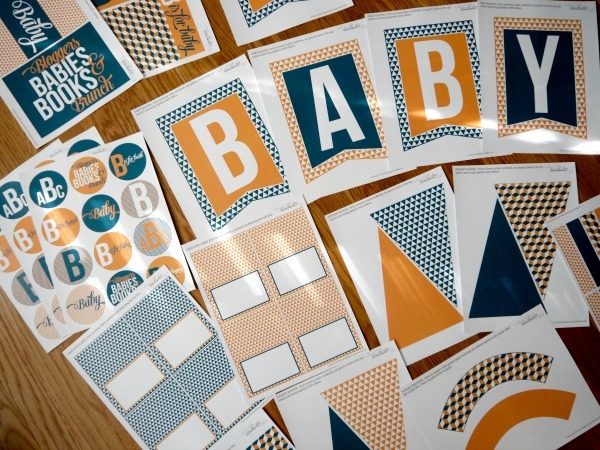 Lindi of Love the Day, another really awesome Austin blogger, whipped up this adorable set of printables for us! 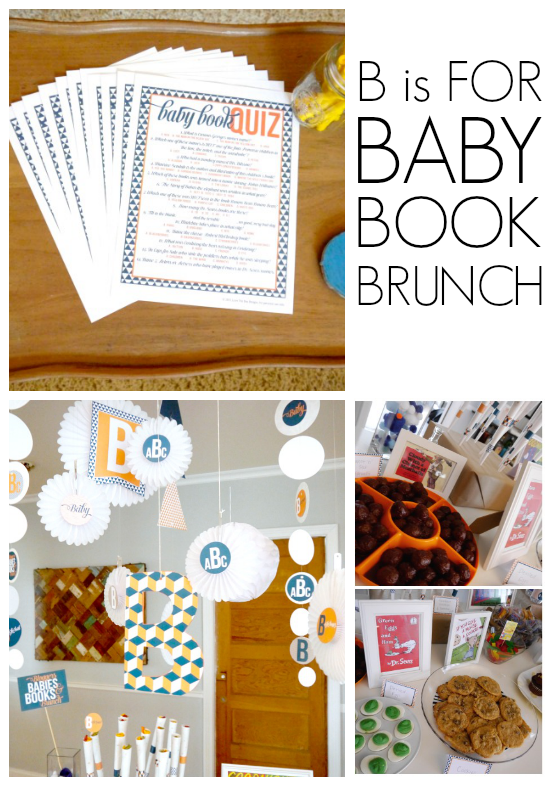 Seriously, all I said was our theme is B is for baby, book, brunch, and blogger and 2 days later this appeared in my inbox. Ah-maze-ing. You can get all of these fun printable in her etsy store here. Greatness, I tell you. I printed out the printable party pack on card stock, cut out all of the shapes and hung ’em up. It was seriously that easy. 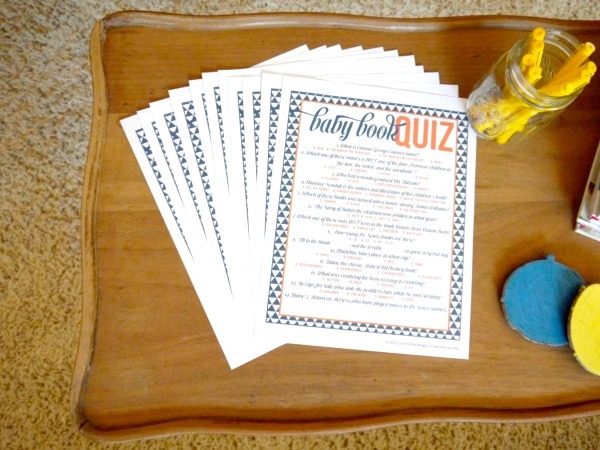 Party printables rock my world. Never throw another party without them. I ended up printing the whole set at Staples for less than $10. My printer at home as issues (ie. I need a new cartridge). Anyhow, I bought a party pack of white fans at Party Time for $10, it’s from the wedding section! I used fishing line and tape to hang these suckers up above the table. Easy freakin’ peasy. 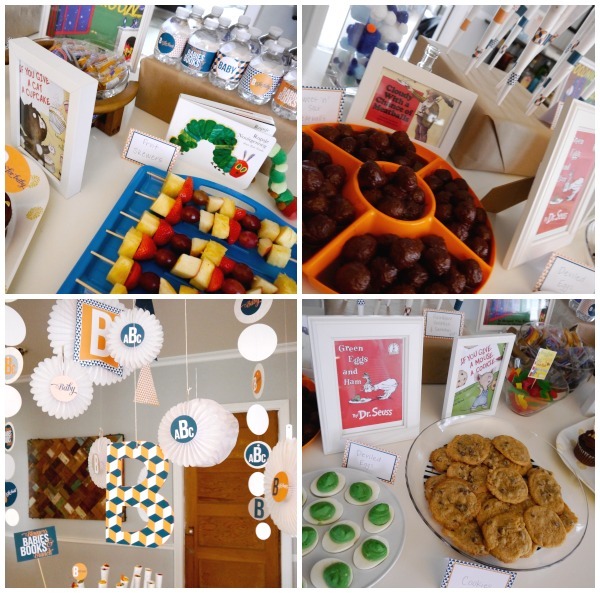 Oh and the giant B’s are made out of cereal boxes and the patterned paper is just part of the printable set that I taped to the cereal boxes. Jenn printed the book covers out and I framed them with white frames I have on hand from my gallery wall obsession. How fun (and delicious) are those green eggs? 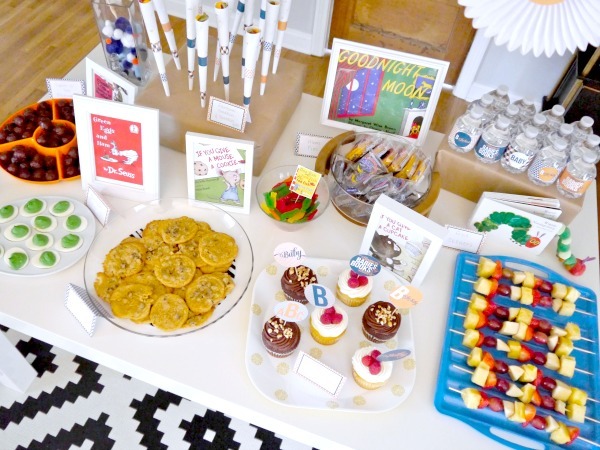 The printable cupcake toppers are so great for sprucing up the food table. Just cut them out, tape them on tooth picks, and stick them in goodies! Instant cuteness. 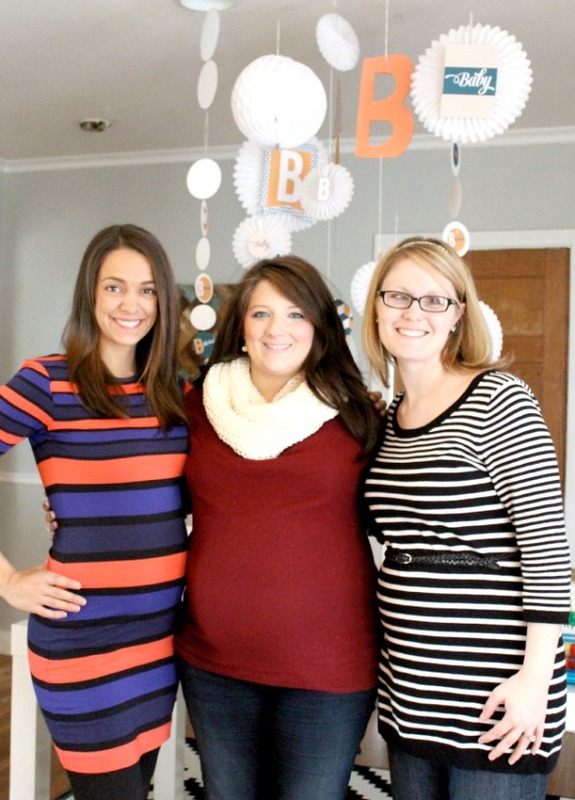 Here are the 3 pregos…! Don’t mind that I had to rip my smoke detector outta the ceiling the other night because it wouldn’t stop beeping, ha! From left to right some of my fave bloggers: Lani, Beth, Allison, Jenn, Kristen, Lani, me, and Amy. Thanks again to all my blog girls for celebrating with us and helping build the little libraries. Baby Dorobek’s library is getting filled up fast! Oh and how cute are these book plates that Lani gave us?! She ordered them from Pera Press! On the nursery front, it’s had a few updates including cushions for the bench, valences for the windows, and a new chair! I’ll be sharing all of the deets and tutorials after the holidays! Here are all of the nursery deets so far: Spilling the beans, 10 nursery must haves, Painting the igloo, Bambino gets a crib, and the great rug hunt. 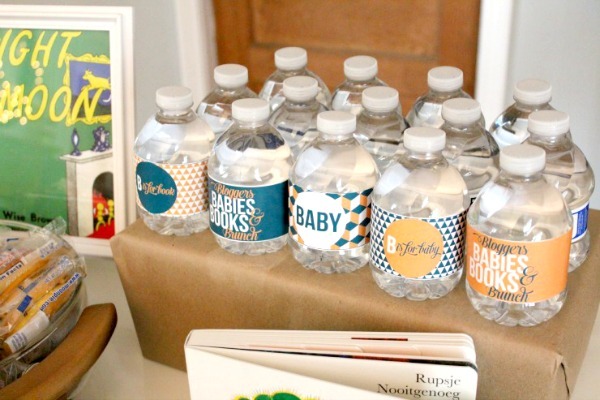 If you’re looking for more fun baby shower ideas be sure to check out the beach baby shower, little man baby shower, a vintage bird baby shower, and 6 fun baby shower games. 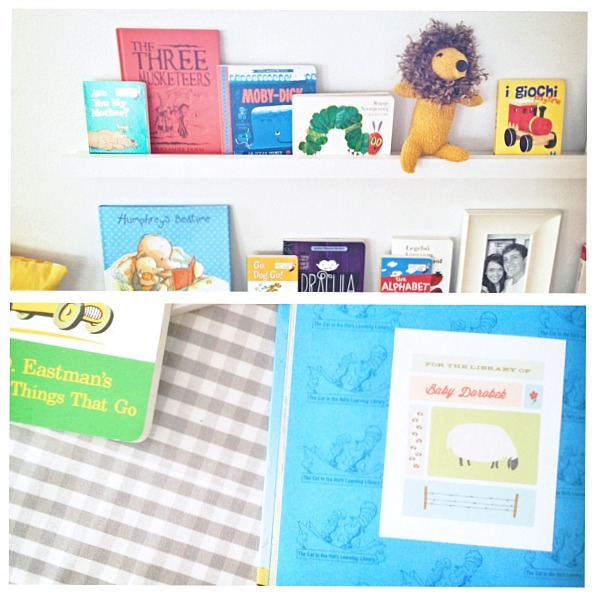 I’ll be sharing the DIY nursery updates in January, like how to make those fun ledge shelves for the books!